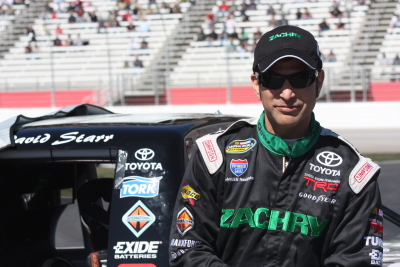 David Starr before the E-Z-Go 200 NCWTS Race. 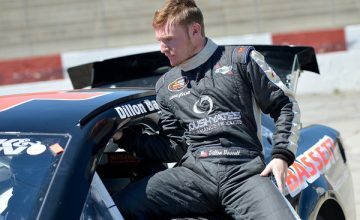 Photo Credit: DJ DeSpain for RubbingsRacing.com. NASCAR Camping World Truck Series driver David Star always seems to have a smile on his face. 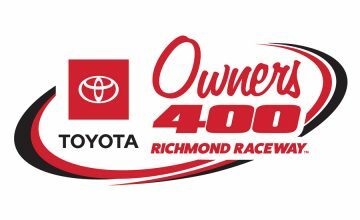 With 4 wins, 45 top five finishes and 98 top ten finishes since his first NCWTS start in 1998, he has had a good career. Being successful on both dirt and on asphalt, he has plenty to smile about. Starr driver the 81 Zachry Holdings, Inc, truck for Randy Moss Motorsports spent some time with me at Atlanta Motor Speedway at the E-Z-GO 200. He makes no bones about it, he just loves racing. When I asked him what his favorite track was, his simple answer, “I like them all!” After I pinned him down a little more, he finally said Texas Motor Speedway, but primarily because it is his home track. But then he divulged that Texas World Speedway (TWS), the sister track to Michigan International Speedway, is his favorite because of the memories of going there with his father and racing there in Late Modifies back in the late 1990’s. TWS opened its doors in 1969 and has hosted every major series of automobile racing, but has not hosted a NASCAR Cup event since 1981. I then asked him why he wasn’t on Twitter yet, and he simply said, “I don’t have time” motioning with his hands a texting pattern on an imaginary phone. “Maybe I should get my PR person to do that for me”, to which she looked over at him as if to say, you gotta be kidding me! Starr is very energetic and a pleasure to be around. He always seems to have a big smile on his face. We look forward to getting to know Starr better on a future episode of Over The Wall.